APRIL 14, 2017: Together with an AFL-CIO backed coalition of public employee unions, Mass Retirees has sponsored an amendment to the FY18 House budget proposal that lowers the cap on out-of-pocket health insurance costs. APRIL 10, 2017: For those retired members of STATE Retirement system who have not submitted ballots for this very important election at the State Pension Reserves Investment Management board (PRIM); Please vote on-line before Tuesday, May 9th before 5pm, or by mail, postmarked before such deadline! “Its essential we continue to have a voice on the investment arm of our state pension system, please vote for Paul Shanley”, Association President Frank Valeri. MARCH 3, 2017: This week the Commonwealth’s Group Insurance Commission (GIC) voted to set insurance plan rates for FY18, which begins July 1. Rates for the popular Optional Medicare Extension (OME) plan will increase by 1.6%. Last year rates for this plan decreased by 7.1%. Retirees not eligible for Medicare, who are insured under the GIC’s Indemnity Plan with CIC coverage (run by UniCare) face a 3.6% increase. The average increase across all GIC sponsored plans is 3.8% for the coming year. 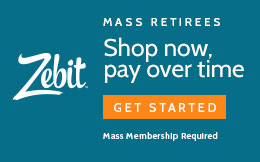 IF YOU HAVE NOT VOTED YET FOR THE YOUR STATE RETIREMENT BOARD ELECTION, ITS NOT TOO LATE. AUGUST 1, 2016: With just 9 minutes remaining in the formal legislative session for the year (which ended Sunday at midnight), the State Senate voted to override Governor Charlie Baker’s veto of a law protecting municipal and teacher retirees from runaway health insurance costs. JULY 29, 2016: Our legislative team will be at work on Beacon Hill through the last weekend in July as the state legislature holds rare back-to-back weekend sessions. The Saturday-Sunday sessions mark the end of the formal legislative calendar for the year. 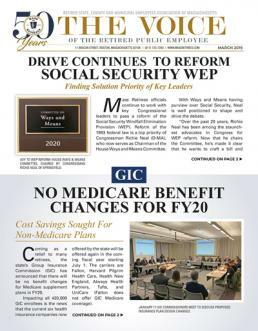 JULY 18, 2016: A week that began with the promise of legislation reforming the Social Security Windfall Elimination Provision (WEP) advancing in Congress, has instead ended with the bill suffering a setback. Association officials spent two days last week in Washington, DC, working side-by-side with coalition partners from Texas in an effort to advance WEP reform through Congress this year.